Lydia is a graduate student in cultural anthropology--a fellow at a prestigious university, with a bright future ahead of her. Harvey, her brother, is a seminary student driven by his god-besotted studies. The two have never shared much of anything except a mutual desire to escape the stifling confines of the home they grew up in and the parents they left behind. But when Lydia's estranged parents call her to say Harvey has mysteriously dropped out of seminary, Lydia begrudgingly sets out to "rescue" him--though the dark path into Harvey's new world leads Lydia herself through a threatening terrain of addiction, sexuality, and violence. 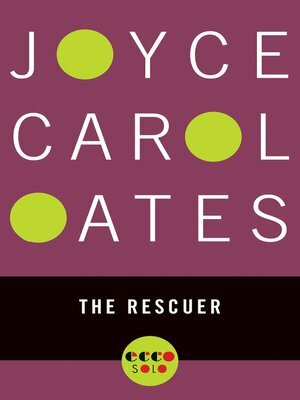 An astute, insightful, and mordant examination of faith, family, and sibling ties, The Rescuer is Joyce Carol Oates at her best.